It shouldn’t be news to you by now that Twitter is an essential tool for your hotel’s social media efforts. It’s a great channel that allows you to connect with your guests and see what people are writing about your brand. 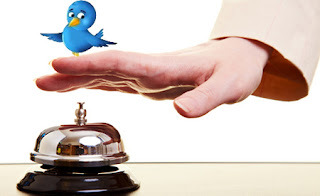 Unfortunately, there are many hotels using Twitter ineffectively and missing the boat entirely. Getting the most out of Twitter is a strong way to impress your current and potential guests as well as get your name out there and put a voice behind your brand. Read on for a list of fresh Twitter tips, content ideas, and do’s & don’ts that will help your hotel utilize Twitter to its fullest extent. These days, guests are constantly tweeting their thoughts and experiences for the whole world to read. Take advantage of these tweets by taking your actions a step further. Did one of your guests tweet that he isn’t looking forward to waking up before dawn for an early morning meeting? Surprise him with fresh coffee at his door or tweet him directions to the nearest java house! Did someone tweet that his toddler spilled juice in the room? Let him know that new towels are on the way. You can learn a lot about your guests by reviewing their tweets and tailoring your responses specifically to them. You will stand out, be appreciated, and keep your guests more than satisfied. A recent study shows that 48% of brand followers follow brands on Twitter just to get discounts and deals, so give your followers what they want! You can offer a promotion for something as simple as a discount on a spa treatment or even a gift shop item. Only promote the special on Twitter or your other social media channels, so that it is exclusive to your fans and followers! You could also create a special promo code for 10% off a room that you send to people who are actively engaging you on Twitter and tweeting about your hotel. Be more frugal with this one though, as you don’t want floods of people demanding you give them special room rates. Tweet about events going on in your city. Provide your guests with quick and easy information as well as links to these cool happenings. Do you have a shuttle taking people to the event? Spread the word on Twitter. Did you partner with the event to give guests at your hotel a discount? Include the event’s Twitter handle in your tweet so they see you are promoting their event. You never know who is the face behind that Twitter account and might be willing to work with your hotel on a special promotion. It is easy to be mutually beneficial to each other, not to mention your guests will appreciate the heads up about the great events they should check out! Your followers will appreciate being the first to know about any new promotions and specials you have, so every time a new one is added it’s a nice idea to tweet them out. Hopefully your hotels manages its own blog, and tweeting every time you add a new blog article is a great way to drive more traffic to your blog and therefore your hotel website as well. Everybody loves being retweeted, and it will make your guests feel more special that you noticed them. Whether they are tweeting about your hotel, an event in your city, or anything else relevant, retweeting is a good way to acknowledge your customers. Also, don’t forget to respond to tweets! You don’t have to respond to every single tweet, but thanking your guests for a positive tweet about your hotel goes a long way. However, it doesn’t mean as much if every single tweet on your timeline is the exact same message thanking people and hoping they enjoyed their stay, so vary up the messages, tailor them specific to each person, and time your tweets throughout the day instead of tweeting all at once.